10 Large Screen Laptops Review by Experts - What is the Biggest Screen on a Laptop? Can large screen laptops be called portable and practical? What monitor’s size is better: 17″, 13″ or 15″? Big screen laptops are heavy and bulky, but they work faster and let you do difficult system operations like playing games or running video editing programs. If you are looking for a portable but comfortable PC, check out these 10 large screen laptops. A large screen allows you to significantly expand the workspace and forget about external monitor for comfortable work. This laptop’s main drawback is weight and size. I can hardly call this type of laptops portable, but the size allows you to fit high-quality video cards, several SSDs and HDDs inside the case, as well as various add-ons in the form of a large number of connectors and a disk drive. If it sounds interesting, read my full review of 10 best large screen laptops for affordable price. Pavilion from HP is recommended for those who wish to purchase the largest screen laptop with perfect functionality. This universal device might cover all your needs. Its black design seems to be metal, but the laptop is completely plastic. The 17-inch device has a glossy screen. This means that it provides better color intensity and contrast ratio. However, one of the best large screen laptops reflects an external light. Such peculiarity may be rather annoying. At the same time, if you use the model at night, it will be better and more perfect than matte screens. The laptop is ideal for reading documents, watching videos and movies, as well as for playing games at low settings. Pavilion comes with 8 GB of DDR4 memory. It’s more than enough for an average user. Buying this large screen laptop, you will get 1 x USB 3.1, 2 x USB 2.0 and 1 x HDMI. The battery provides up to 7.5 hours in normal use. 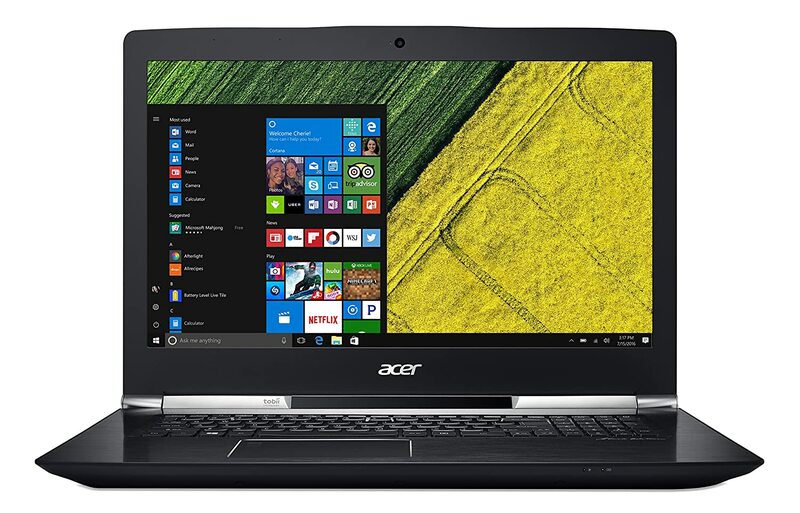 Helios 300 from Acer has a high-quality plastic case with air vents on the back panel. Backlit keyboard enables you to use this device at night. As for the screen, it’s 17.3 ″ IPS with the resolution of 1920 × 1080. IPS technology makes it easy to see its full potential from all aspects. Helios 300 is known as a remarkable big screen laptop for gaming. The six-core i7-8750H processor may be upgraded to 4.1 GHz. It’s more than enough to launch new games at high settings. The graphics processor is a GTX 1060 with 6 GB of RAM. Helios is characterized by ultra-fast 256 GB solid state drive. Battery life isn’t perfect. This is not surprising, because the laptop features only a 48 Wh battery. It works for 4 hours in normal use or up to 1 hour in case of playing. As for sound, it’s pretty decent. Using this large screen laptop, you could admire the powerful graphics card, enough ports, and nice sound. If you are a photographer who needs high-resolution monitors, I recommend you reading my reviews of the best laptops for photo editing or the best laptops for graphic design. Asus isn’t a new brand. It has been creating widespread laptop models for more than 20 years. 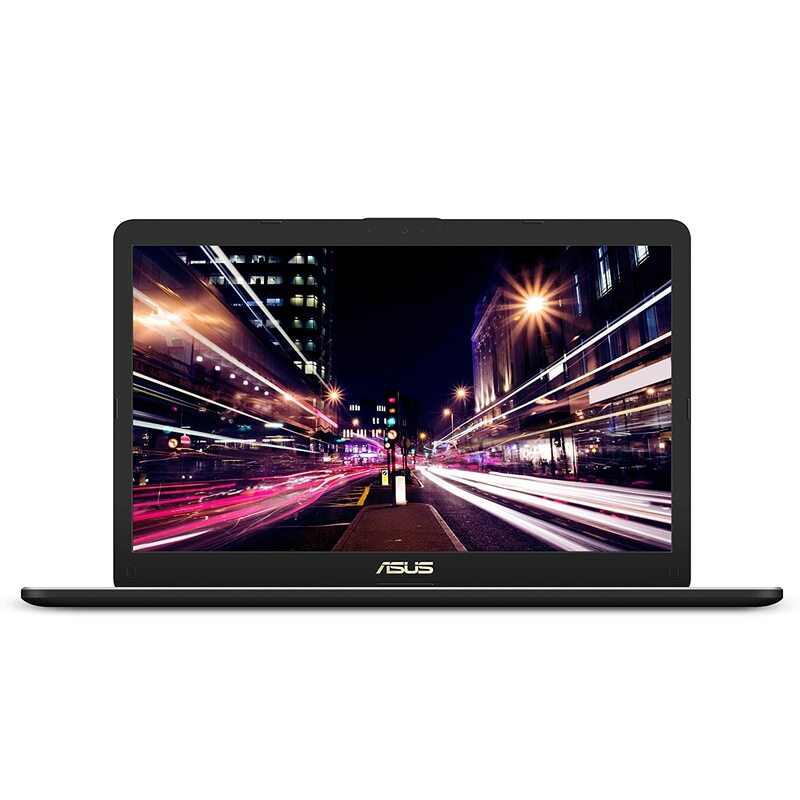 ASUS Vivo Book Pro 17 is a large laptop. It has a fantastic design, as well as other devices from this company. The backlit keyboard is convenient in use and offers several lighting options. The glossy screen of the display is 17.3 inches. It’s Full HD. I didn’t expect anything better from a laptop of this price range. The processor is a 4-core I7-8550U. It’s very problematic to encounter a laptop that is capable of running games if you are on a tight budget. Costing just about $1000, this model is a well-rounded decision. This large screen laptop has a GeForce GTX 1050 4 GB graphics card. So, you could play any game with an average level of settings. 16 GB of DDR4 RAM effortlessly handles software in the background. The 256 GB SSD and 1 TB hard drive provide fast loading. The stereo speakers built into the bottom are incredible. Battery life lasts about 3 hours when running games. You probably think that you don't know this brand. If you have never heard of it, you are likely to skip it. You may have an idea that trusting your money to an unknown company is risky. But this is also an advantage for you. Eluktronics isn’t a renowned manufacturer. So, they offer lower prices for products that have the same performance as other expensive laptops from famous companies. The American manufacturer produces the biggest screen laptops. For example, N870HP6 Pro-X, which is really exceptional. It’s a durable device made of high-quality materials. It has a very thin and sleek profile, especially for a gaming laptop. The keyboard has an RGB backlight. The touchpad is pretty responsive and recognizes finger gestures. The large screen laptop has 3 USB ports and 1 USB-C port, 2 Mini Display ports and one HDMI. The screen is a 17.3 -inch full HD IPS. I enjoyed its matte coating. Color accuracy is great. Thanks to IPS, the user has wide viewing angles. The device comes with a powerful Intel and GTX 1060 6 GB, which is enough for the latest games. The PCIe 512 GB SSD is very swift when loading the OS and games. But this version doesn’t feature a hard disk. Since it is a cheaper 17-inch laptop, the cooling gets a bit noisy. All in all, it’s a nice device for the money. Y700 is one of the most popular big screen laptops. It has a strong Intel quad-core processor, a satisfying graphics card, and terrific speakers. Its case is made of durable aluminum and looks beautiful. Lenovo ideaPad Y700 has more ports than you need. There are traditional ports such as AC, Ethernet, Jack on the left side. At the same time, you might notice 2 USB 3.0 and HDMI at the right side. The display is accurate. Nevertheless, the brightness isn’t the best, even when it’s maximized. There is an anti-reflective coating, but I still noticed some reflections. The keyboard has a red backlight. JBL speakers function perfectly. They are loud and sound amazing. In addition, the subwoofer gives pleasant low frequencies. If you plan to use the large screen laptop for day-to-day tasks, such as Internet surfing, reading emails, or watching movies, you won’t face any difficulties. At the same time, it isn’t the best variant for gaming. You may play new games only at average speed. The cooling is pleasing. The battery is capable of working for 3-4 hours in normal use and about 1.5 hours if you play. This giant laptop is designed particularly for those who wish to purchase a device that looks like a tablet with the largest screen. 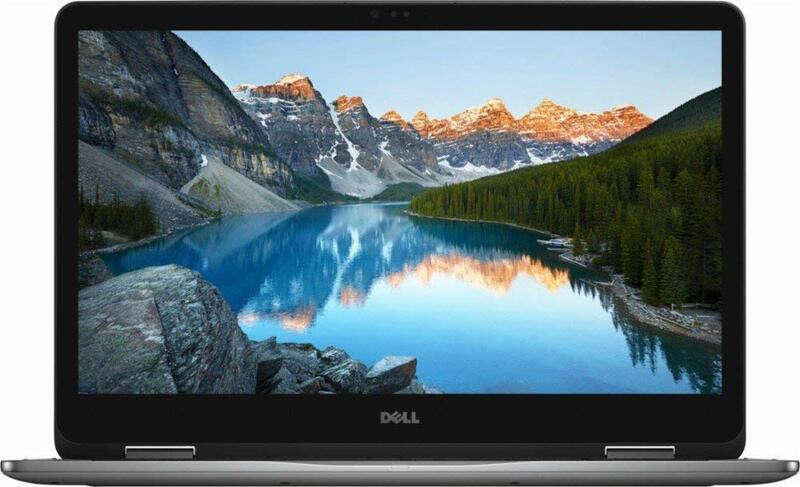 The Inspiron 17 7000 from Dell has one of the biggest laptop screens. Unfortunately, its 17-inch display has a strange fuzziness that might seem suspicious. However, the model will satisfy those who want to get a 17-inch tablet. Inspiron 17 7000 has a powerful Intel 8th processor. So, you may do a lot without worrying about slow operation. Aside from the largest laptop screen, this device features fine graphics card with 2GB NVIDIA GeForce MX 150. Combine it with 32 GB of RAM and you receive more than enough for completing various tasks. If you seek for a 17-inch laptop/tablet, the Inspiron 17 7000 2-in-1 will fill successfully meet your requirements. HP did a magnificent job designing this large screen laptop. The combination of metal and sturdy plastic allows Omen X to be incredibly durable and virtually unbendable. Such sturdiness comes at a cost, as this model is both large and heavy. With a weight of 5 kilos, this powerful laptop is ideal for working at a desk but isn’t really suited to be carried around. It has many adjustable LED indicators on the display, back, and keyboard. This giant is perfect for coding videos, 3D rendering, and image editing. The 3840x2160 4K resolution is also a nice addition. Video game-wise, the Omen X offers great performance thanks to the GTX 1070 8GB graphics card and 4K resolution. If you’re purchasing a large laptop, then you shouldn’t be thinking about battery life. Besides, considering its size and weight, the laptop will probably spend all its time connected to the charger. If this model is too expensive, read more about the best laptops for the money that have good monitors and can be used for different purposes for affordable prices. The V17 Nitro is marketed as a gaming machine and the largest screen laptop. The hardware specs are typical for a gaming laptop and it offers performance sufficient for running games on medium or high settings with a resolution of up to 1080p. The general design of the V17 makes it more suitable for creating content and multimedia. This model deserves praise for its design and build quality, while the touchpad and keyboard work great as well. It has a relatively compact 17” body, Thunderbolt 3, Tobii Eye Tracking support and a fantastic display. This bright largest laptop screen offers 100% sRGB support and a Delta-E result of 3.3 (with 0 being perfect). The Nitro is packed with a 2.6GHz Intel Co i7-700 processor, 16GB of RAM, 1TB HDD, and 256GB SDD drive. The Nitro Black Edition isn’t just a gaming toy, but also a workhorse. I also recommend using it for visual content editing since it allows unleashing the full potential of the screen’s color reproduction. Sadly, the laptop’s battery doesn’t last long under such a workload. This isn’t the first Alienware laptop of such size, but it is the first model accessible to people with a limited budget. The G3 17 is a machine that offers the best performance-to-price ratio on the market. Such an achievement demanded sacrifices on Dell’s part as the manufacturer used plastic for the body design so the laptop does bend a little when pressed on. The G3 17’s screen has a Full HD IPS-panel. It’s powered by 8- generation i7-8759H Intel Core processors. If you’re planning on using this large screen laptop for tasks related to CAD/CAM, Photoshop, video rendering, etc., then Core i7’s configuration is the right choice for you. 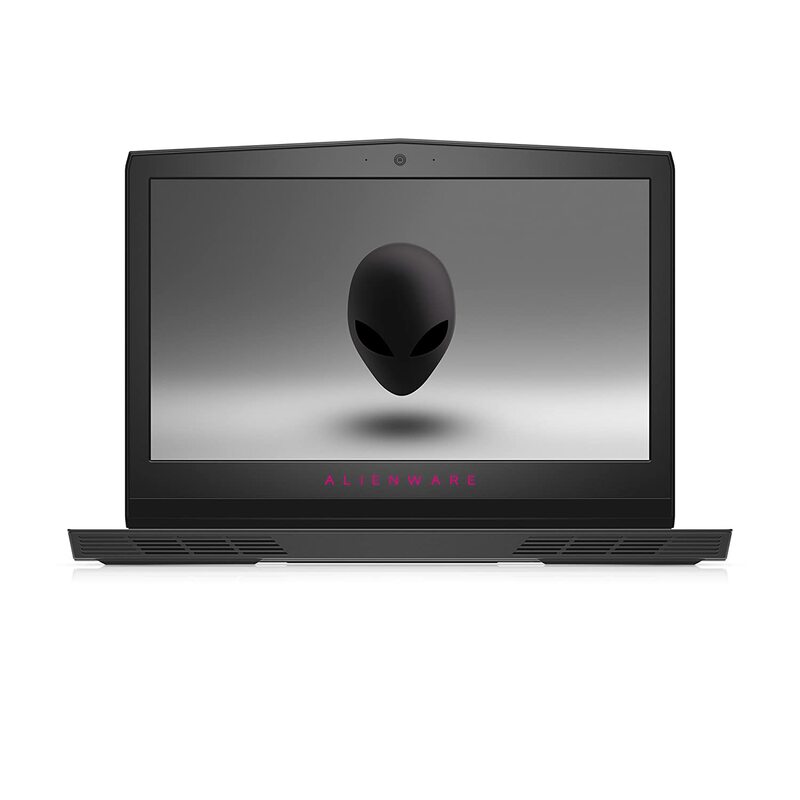 The Alienware AW17R4 is a large screen laptop that is fully capable of replacing an average PC. It has a large 17.3-inch screen and a powerful quad-core Intel Core i7-7820HK 4.4GHz processor. This isn’t just a regular laptop for a regular user. It’s perfectly suited for gaming and running heavy resource-demanding software. You can use the AW17R4 to play the latest games, for software development, video editing, and image retouching. This portable laptop supports multitasking thanks to the included 16GB DDR4 2400MHz of RAM and heavy-duty processor. The cooling fans of this model are very loud and the battery life is average. How to Choose the Right Laptop with Large Screen? Big screen laptops are very convenient to work with, but aren’t portable. Such computers successfully deal with the biggest drawback of any notebook: limited working space. Another huge advantage of 17-inch laptops is that they can be filled with extra components (a larger HDD, DVD-ROM, or GPU), which can rarely be found in 13” or even 15” models. Basically, such a laptop is an amazing find for users who are ready to accept its size. Sure, they are usually bulky and heavy, but they also work faster and allow you to play video games and edit videos. Here are the characteristics you need to pay attention to the most when buying a laptop. This aspect is the biggest advantage of a large screen laptop. The best options are IPS or IGZO screens as they give you the brightest colors, contrast and offer the largest viewing angles. Touchscreen displays aren’t very popular in this type of laptops. Gamers usually pick screens with a 1080p resolution to achieve a higher framerate. The most popular model for 17-inch gaming laptops is quad-core Intel Core i7 either of the 7th or 8th generation (marked by 7000 or 8000 respectively). Meanwhile, the powerful and incredibly expensive 8th generation Core i9 resides on the top of the market. Regarding mobile workstations, Core i7 and Core i9 are joined by Intel Xeon processors. Laptops for work require a lot of memory. Typically, 16GB should be sufficient, while 32GB is enough for virtually any task. Some large screen laptops even support a mind-blowing 64GB or 128GB of RAM. If you’re planning to turn your laptop into a portable workstation, you need to study the RAM requirements of the programs you’ll run to know how much memory you need. Consider purchasing one or two M.2 hard drives that will significantly lower the weight of the laptop, but will raise the price. I also recommend adding an SSD for installing the OS and all the software along with an HDD for storing games and other data. Most portable computers aimed at performance give preference to faster PCI Express (PCIe) instead of SATA hard drives. 500GB (for an SSD) is the smallest acceptable amount of memory. However, 1- or 1.5TB are more common, while some laptops have 3- or even 4TB SSDs. If you’re limited in funds, then the best option is combining a smaller SSD (256 or 500GB) for the OS and a large HDD. A 17-inch laptop should have enough space for both of them. There are two main GPU brands for laptops – Nvidia Quadro and AMD Radeon Pro. Their core is optimized for work-related tasks unlike the GeForce and Radeon cards for gaming notebooks. Nvidia graphics processor models include the following: GeForce GTX 1050, GTX 1050 Ti, GTX 1060, GTX 1070, and GTX 1080. The last model will satisfy even the most demanding gamers who plan to play the latest games in 4K resolution on the highest settings and on the biggest laptop screens. While GTX 1050 Ti is an acceptable choice, the GTX 1060 is the best option for gaming laptops with a Full HD (1920x1080) screen. Some large, heavyweight gaming notebooks fit not one, but two GeForce GTX 1070 or GTX 1080 cards, offering incredible speed thanks to the Nvidia SLI multi-GPU technology. But I can’t recommend them to anyone except for the most dedicated gamers. They cost a fortune, while their battery life is incredibly short. A professional graphic designer needs at least a GeForce GTX 1050 GPU, with the GTX 1070 being the most optimal choice. You shouldn’t expect a long-lasting battery from a large screen laptop. Such computers are meant to be constantly connected to an outlet. If your notebook can last for longer than four hours without a charger, you should consider yourself lucky. So, are the drawbacks of having to deal with the large size and weight a deal breaker? No, since the biggest screen laptops are leaders in performance. They have the most powerful processors, GPUs, and cooling systems. Such notebooks offer the biggest amount of storage space, being able to fit several SSDs and hard drives. They also have enough room to fit all ports you can possibly need and have spacy keyboards with all numeral keys. For video games: if you want to enjoy games with a constantly high framerate on Ultra, you’ll need a big screen laptop with a powerful GPU, starting at GeForce GTX 1060. As for the processor and RAM, you’ll need a quad-core processor, 16GB of memory, as well as a solid SSD if you want the games to load quickly. For simple tasks: if you want a 17’ laptop merely to browse the web, write documents, and watch movies, you don’t need a powerful machine. A dual-core processor and integrated graphics card can easily handle such tasks, but I recommend purchasing a model with at least a 1TB hard drive and 8GB of RAM. For design (video editing and image retouching): first of all, you’ll need a good screen with at least a Full HD resolution. If you’re planning to edit videos and render them, you’ll need a good graphics card and processor. I highly advise purchasing large screen ultrabook that has a hard drive with at least 2TB of space and an SSD.